Since completing my PhD (funded by the Engineering and Physical Science Research Council) in 1999, I’ve lectured at several UK universities. My teaching is now mostly in English Language and Linguistics, and my research and supervision mostly in the field of (Higher) Education. At the University of Manchester, I’ve acted as Director of Undergraduate Studies for the School of Education (2007-10), an academic lead for the Faculty of Humanities New Academics Programme (2012-14) and Programme Director for the university-wide PGCert in Higher Education (since 2014). I’ve also been External Examiner for several postgraduate theses and External Advisor to a wide range of UK degree programmes. I’m a founder-member of the Comparative Lexical Relations Group and the Sutton Trust Research Group, and have given papers at major international conferences in Mannheim and Freiburg (Germany), Louvain-la-Neuve (Belgium), Verona and Bertinoro (Italy) and San Francisco (USA). I’ve been interviewed about language use on BBC TV’s The One Show (2010, 2011) and about my Higher Education research on BBC Radio Four’s Today programme (2012). My funders have included the British Academy, the Joseph Rowntree Foundation and the Sutton Trust, and I’ve presented research findings to Universities UK (2012), the Employers and Education Taskforce (2011, 2012, 2014) and the Department of Business, Innovation & Skills (2014), as well as delivering a Westminster Briefing (2013) and speaking at the Sunday Times Festival of Education (2013). Howard Jackson gained his PhD from Reading University, and his research interests are in English Grammar, Vocabulary and Lexicography. Howard Jackson has written eight books (for Longman and Routledge among others) and numerous articles on grammar, vocabulary and lexicography. An invited speaker at conferences all over Europe, he continues to enjoy an international reputation for his work. This book examines the ways in which corpus evidence can contribute to our understanding of meaning. Meaning (or, more broadly, semantics) has been approached from many angles by linguists interested in, among other things, the theory/practice of defining words (lexicology/lexicography), the paradigmatic relations that hold between words (lexical semantics), and the tendency of words to ‘keep the company’ of other words (collocation). 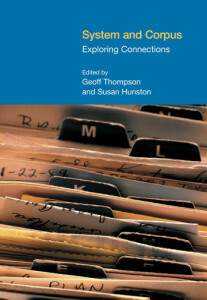 This book is similar in its areas of investigation but different because it focuses specifically on the role of corpora in exploring these topics. Corpora are large, searchable bodies of naturally occurring data that can be used to make usage-based statements about how languages operate. Though corpora do not explicitly reveal anything about meaning, the opportunity to analyse language in its natural context allows new insights to be gleaned because – as the pattern-based research of Partington (1998), Hunston & Francis (1999) and Hoey (2005) clearly show – the lexical and grammatical environments in which words recur provide vital collocational, colligational and phraseological clues about their semantic properties. 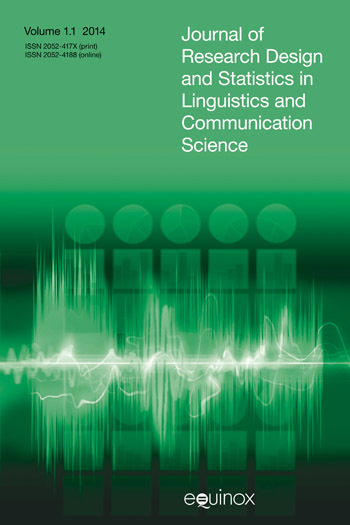 This book therefore addresses key lexicological issues from an empirical perspective, with a view to demonstrating what corpus linguistics (a methodological approach to language study) can tell us about meaning (the exchange of which is the primary purpose of language).